I do. But sometimes I’m so caught up in my everyday life and work that I forget to see them. We think sometimes that you have to be a saint to experience miracles, but we can all experience miracles every day. All we need to do is develop a keen sense of observation and a positive attitude. The simplest things are actually quite miraculous: the sunrise, our breath, the light in a child’s eyes. It’s all about paying attention. Today I realized that SikhNet itself is a miracle. Born from nothing more than an idea, SikhNet is celebrating 16 years of continuous service online. That is totally the Guru’s miracle! It’s always a rush of activity here at SikhNet as we are always juggling multiple projects. Right now we are working on some new Sikh mobile phone applications, a major Children’s Sikh Adventure video game, Partnerships with Sikh TV Channels, the annual Sikh Youth Film Festival, upgrading Children’s Audio Stories to semi-animated videos, Major customization improvements to the Daily Hukamnama section, along with the Daily News, SikhNet Radio and the Gurbani Media Center services. And have you taken a look at the new Shabd Printer? It’s beautiful! In 2011, by Guru’s grace, we’ll be working on a lot more new content, especially for our children. Every day we get a lot of loving and grateful emails and comments from people telling us how much they appreciate all of these Sikhnet services. SikhNet exists by our Guru’s blessing and because of all the loving contributors and sevadars who make it happen every day. Won’t you lend your support by giving back to SikhNet? When you give Dasvandh to SikhNet, you are not only helping continue all of these services but you are actually helping to inspire thousands of others who visit, use and benefit from SikhNet. Your support tells me that YOU VALUE SIKHNET and that you don’t take it for granted. If I were face to face with you we could talk about SikhNet in a personal way, but with SikhNet being online it is less personal and easier to assume that someone else is taking care of supporting SikhNet. But, in reality, there is no "Someone else". That someone is YOU. SikhNet exists by our Guru’s blessing and because of all of the loving contributors and sevadars who make it happen every day. Please lend a hand and become an active part of SikhNet’s seva. 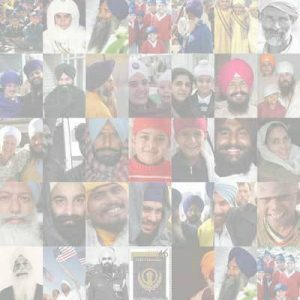 SikhNet needs your support now more than ever! The very best thing you can do is sign up as a monthly donor to SikhNet. Give whatever amount you can afford – whether it is $5 a month or $500 a month – it all adds up, if we each take up a part of this seva. Every year more people visit SikhNet, however only a small fraction of a people that use SikhNet actually support SikhNet. In the past 30 days SikhNet received over 455,000 unique visitors. Out of those 455,000 people visiting SikhNet only 350 people gave back to SikhNet. That’s 0.08%! As you can see that is a very tiny percentage of SikhNet visitors, so YOU REALLY DO make a huge difference. 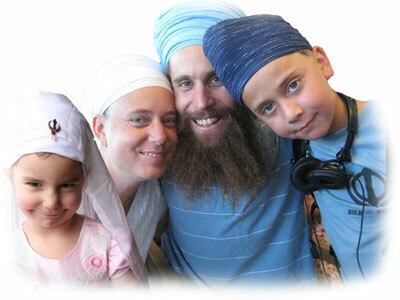 I invite you to take this moment right now and give something back to our community through SikhNet. Time really does fly by. It seems like just yesterday I was a single guy out of high school starting a simple web page and with the sangat’s support and Guru’s blessings SikhNet has continued to grow these past 16 years. i am gurcharan singh gulyani i happy to see sikhnet and shall be regular to watch this site i want to be an instrument to augment this site so that people shoud read and happy to become sikh . Marvellous is a very small word.. what I can say is that this website is the source of Sikhi where youngsters can learn about it. I myself learnt from it than any other source and I am grateful to Sikhnet for that…. Gurmustuk Ji GOD Bless You and keep up the good work. i remember as a small child playing on a swing, legs pumping, pulling and pushing my body thru space going higher and higher ….that may have been my first conscious recognition of the miraculous. ' what (power) makes this body and what makes this ME who lives in this body' i asked myself and my little friend on the swing next to me. my friend marti, spoke of muscles and bones. this was not the question i was asking. this very first WONDER… this very first recognition of MIRACLE still stays with me still. ultimately there is no-thing that is less than miracle. it is good to share the path with all of you …. all of you…. wow…..I thought that the pie chart shown wasn't accurate but exaggerated or something, so i plotted it in excel myself and it really is accurate!! i cant believe that ratio, its humungous. I just recently began donating again on a monthly basis – my credit card expired from my last time I signed up for monthly donations and i just hadn't gotten around to adding my new credit card! it really is amazing at how much sikhnet and mrsikhnet provide to the cyber sikhi community. the least i can do is make a small payement every month!! and honestly I waste way more money than that by just little things like eating out etc etc! Kaur, Thanks for your continued support to SikhNet! I hope more people realize what you have, and give whatever amount they can afford to share in SikhNet which impacts so many. The Kids Program at Gurdwara - At every Gurdwara we have the "Kids program" where they get up in front of the whole sangat and do some songs with hand motions.